Dimensions : 100 h x 72 w x 66 d cm. 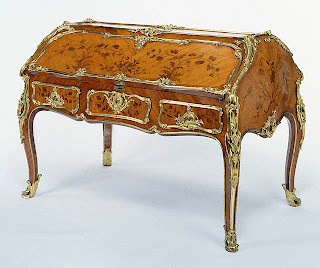 this comfortable Louis XVI bergere, almost a la d’Artois, typical of the early antique furniture style and presenting elements of great quality in both the carving and the construction. 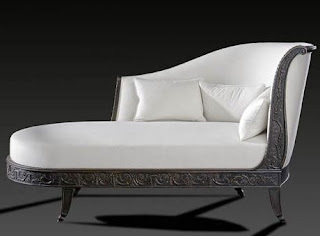 The important knot of ribbon carved in reserve, the twisted ribbon, the deep fluting, the wide knees decorated with rosettes and the arm-rest support carved on the hollowed moulding with a fine acanthus leaf. 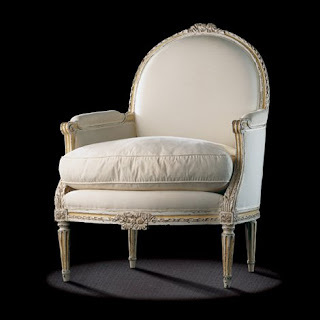 The original of this very fine bergere is reminiscent of certain models by Jean-Baptiste III Lelarge, and another by G. Jacob sold in Paris in 1989.